The Chippewa Cree Tribe began making their own opportunities back in 2011 when they launched their installment loan product Plain Green, LLC. Through internet commerce, the Chippewa Cree have provided the members of their tribe countless opportunities including jobs, tribal services, tribal development, and economic growth. The effects are widespread and have proven critical for tribal advancement and the potential opportunities are untold. Tribal Annual Budgets with Grants, Contracts and Compact Funding as well as Plain Green’s monthly distribution to the tribe. 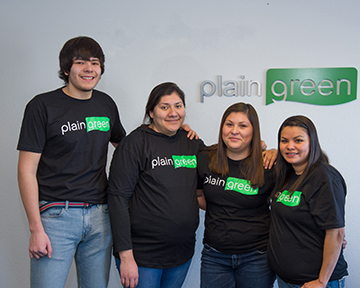 Plain Green currently has 114 employees (85 in Rocky Boy and 79 Tribal members); they also provide summer internships to tribally enrolled college students. Plain Green has sponsored the renovations to a local daycare playground facility that is open to all community members; they also provide funding to help with costs of the new Chippewa Cree Health Center. Plain Green annually contributes to primary & secondary education in the form of scholarships, winter jackets, and backpacks for two K-12 school districts and the local Tribal college, Stone Child College. Plain Green donates to their community by lending assistance to eldercare, public safety (law enforcement & fire department), as well as traditional events. Plain Green offers Call Center Training programs with help from the local tribal college; provided potable water & firewood during community emergencies. Internet commerce initiatives do more than just support the basic needs of the Chippewa Cree Tribe; they give the tribe a chance to move beyond fundamental needs for tribal operations and services. For the Chippewa Cree, internet commerce is a legitimate opportunity for economic prosperity. 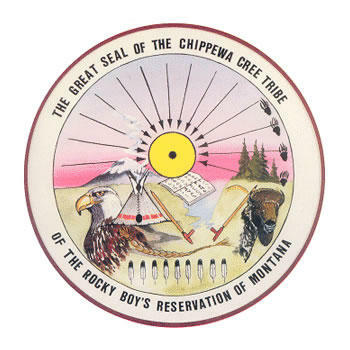 Ultimately, the tribe hopes these initiatives will provide widespread employment for the Chippewa Cree people so that they may become more financially stable and proud of the work they do to provide for their families.